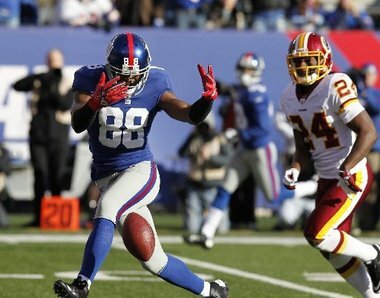 Giants over the EAGLES- Feels like we’re pressing our luck here trying for two in a row for the downtrodden G-Men, but The Eagles “swiss-cheese” secondary should afford Eli Manning the opportunity to pad some of his passing numbers especailly to Hakeem Nicks who was called out this week by an irate Tom Coughlin. Nicks has 0 touchdowns and six dropped passes this season and is due for a breakout game. For those who are superstitious, the Eagles have lost 9 straight games at home. Steelers over the RAIDERS- Over the last four weeks the Steelers have the No. 9 offense and No. 4 defense, while the Raiders have the No. 29 offense and No. 25 defense. Terrelle Pryor tweaked his ankle a couple of weeks ago and although the bye week should have helped in the healing process, a sack or two and he could be in trouble. (He was sacked 10 times in K.C. before the bye week). Pryor is 2-0 at the Black Hole so it could get interesting in a low scoring affair. CHIEFS over the Browns- Had this game been played in Cleveland we might have switched our alliance to the Browns with a much improved quarterback, Jason Campbell, taking over for the inept Brandon Weeden this week. However as we’ve stated several times here in the past, Arrowhead, after Seattle, could be the most difficult place to play in the NFL. The Chiefs undefeated season continues. 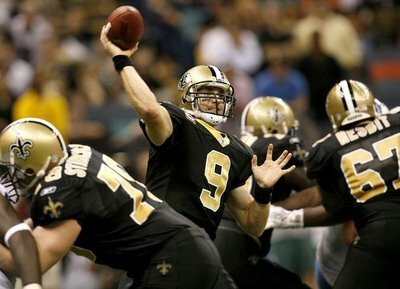 SAINTS over the Bills- Don’t usually pick games like this but for those of you who bet on games and thus take spreads into consideration, the Saints have covered 11 in a row at home and have won their last four off a bye by an average of 15 points. Still upset over their debacle against the Patriots in a game lost in the final minutes, the Saints will be out for blood on Sunday and we kind of feel badly for the visiting Bills. Packers over the VIKINGS- Again, if your’e laying 9 points in this game, it could be a bit steep for the visiting Packers who will be without their big TE Jermichael Finley who was just released from a local hospital after the hit he took last week which caused a spinal contusion in his neck causing temporary paralysis, and Clay Matthews. Even with Christian Ponder back under center, the high scoring Pack will take this one but not before Adrian Peterson has a typical AP day. I love Rodney Harrison but I didn’t agree with his dig on Freeman. I don’t believe the kid would fool around when it comes to a concussion. And call me crazy, but I think Freeman is still the Vikes last best shot. I agree. He’s got something and it would be a shame not to see it through. The NFL is one tough business.